With a very heavy broken heart and an ocean of tears shed, we said good bye to our beloved Nick. 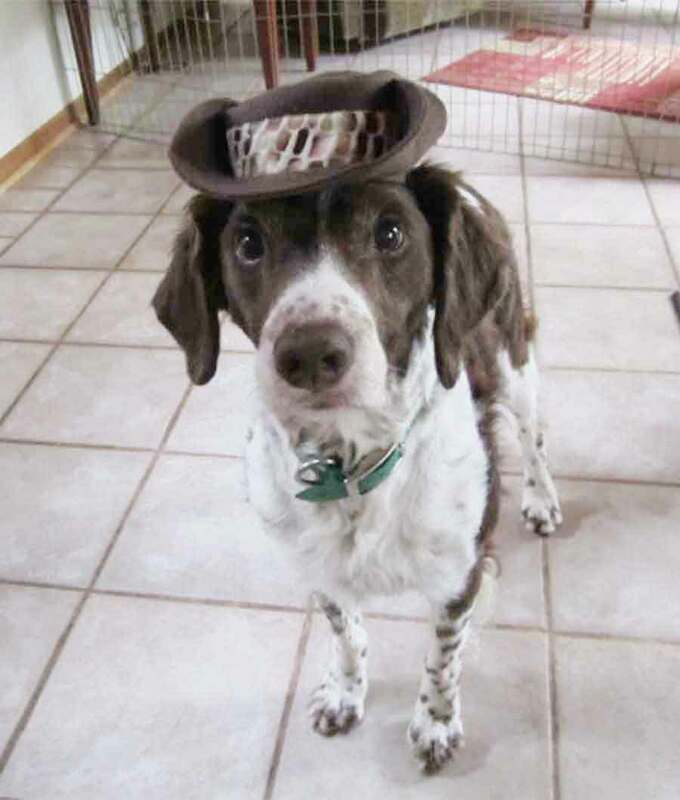 It was time for him to leave us and cross over Rainbow Bridge. I remember the day we got him from John and Carol McMurray. He was our pick out of AmFC DC AFC Zac-A-Tac Allmac (Zac) and Allmac’s De-Na Dixie (Dixie). 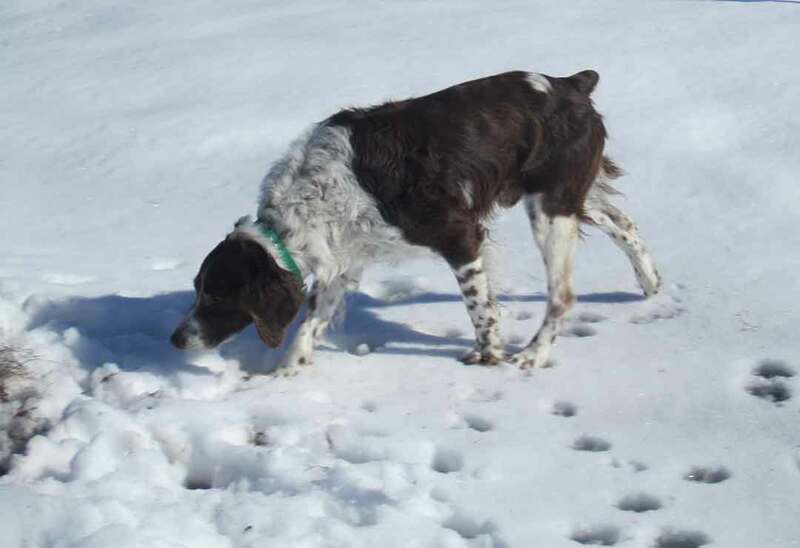 I told Carol and John I absolutely did not want a liver and white Brittany. The moment we saw him, he captured our hearts and the rest is history. We have been told many times by folks what a joy it was to watch him work in the field. 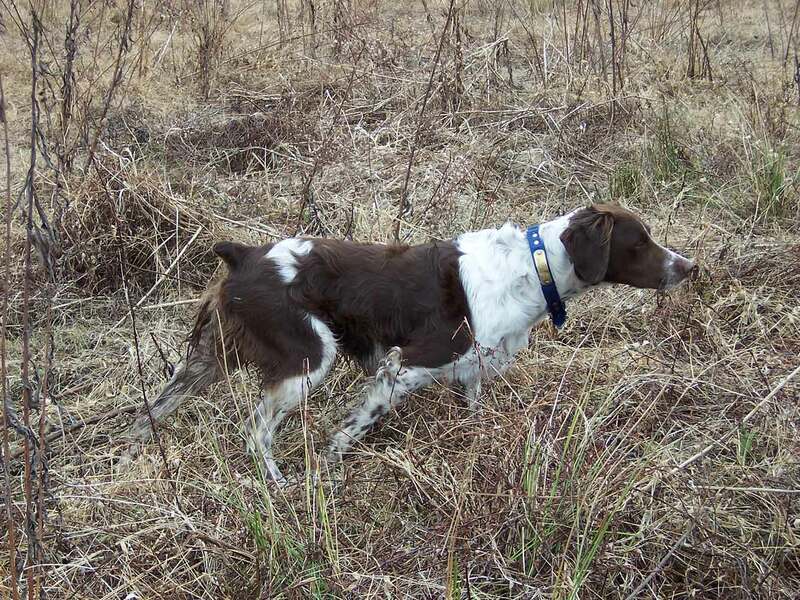 Nick always had the judges sitting up in their seats enjoying his bird work and beautiful run. His legacy lives on in his puppies. 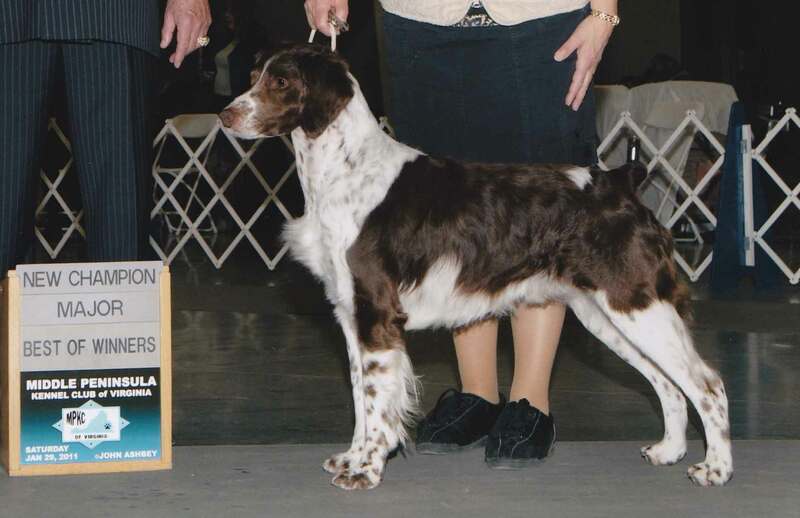 Though he was not used as a stud dog very much, he sired a Grand Champion, 4 Champions, 1 Amateur Field Champion and several Junior Hunters to date. We are very hopeful than one of his pups will soon be a Dual Champion. Most of all Nick was our companion and buddy and we loved him dearly. He was powerful in the field, stylish on his birds and a tough competitor. 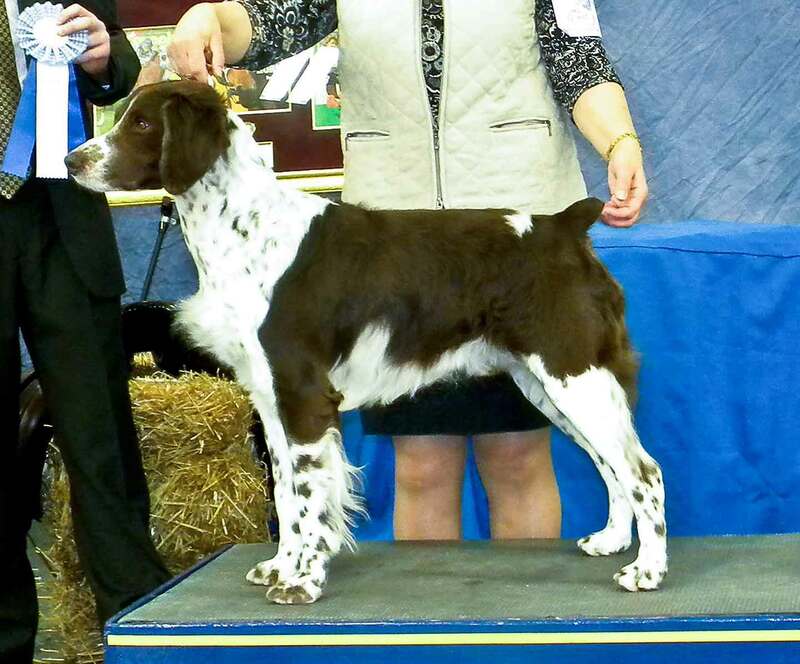 He became my devoted competitor in the show ring. 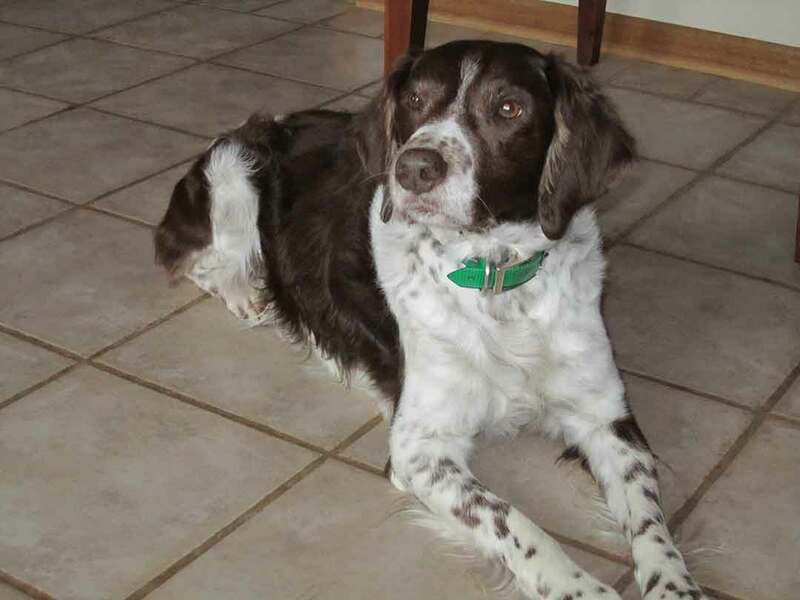 Nick was a gentle loving dog who rarely barked and loved just to be at our side... Thank you, Nick, for everything you taught us and gave to us especially your gentle ways, eternal love and trust. You have touched our hearts in a way I can’t ever describe. We’ll see you again at Rainbow Bridge someday but until then we love you forever and will never forget. You will remain in our hearts forever.